I bought a home a few years back that was a real fixer-upper. That was something that I was always interested in doing. I love the idea of taking something that’s broken and breathing life back into it making it beautiful once again. At first, I had the intentions of just living in the home I bought. Then, another opportunity presented itself to buy a different house at a really low price, and I knew I could fix that one up too. That’s how the story starts about me having rental properties. Now, I am up to six different houses. Five of them I rent out, and one my family and I live in. If you think the amount of work necessary to take care of one house is a lot, try six. There is always something that has to be done somewhere it feels like. The first problem that my very first tenant had was the garbage disposal under the kitchen sink going out. It was the same kitchen sink garbage disposal that was in there when I bought the place. It worked when I lived there, so I wasn’t too concerned about replacing it for a renter when I was doing the remodeling. I did want to get a new one in there right away though because I didn’t want to worry about him trying to shove food down the pipes and clogging them causing me an even bigger headache. 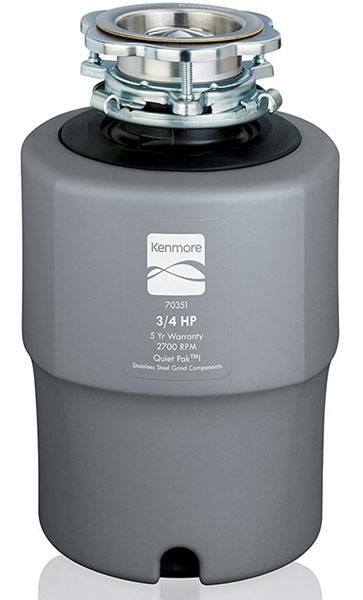 After a thorough review of plenty of different disposals, I decided on the Kenmore 70351 Garbage Disposer. Find out what I’ve learned about the device since I’ve had it installed. 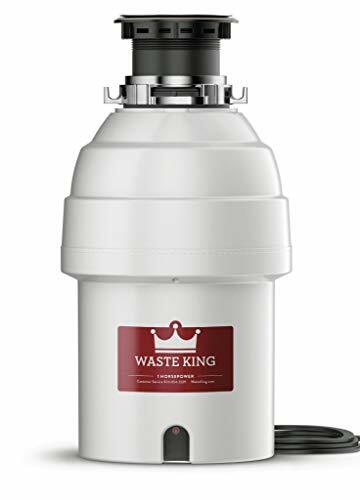 This Kenmore 70351 garbage disposer caught my eye for a few different reasons when I was looking to see what I wanted for my rental property. First of all, the price point was right. It wasn’t super expensive, but I’m not someone that goes for the cheapest item either. I know that you generally get what you pay for, so I was going for the middle of the road. The next thing that I was looking at was how easy it was going to be to install. I had never put in a disposal before, and I wasn’t sure how difficult the Kenmore 70351 Garbage Disposer was going to be for me. I’m relatively decent when it comes to reading the instruction manual and putting things together. I took a look at other customer comments, and they had all mentioned it was simple. With those two aspects taken care of, I started looking at the features of the device. I liked the fact that it had a powerful grinding mechanism with a ¾ horsepower motor and speeds of 2700 RPM. Even with the best renters in your home, I have discovered that when it’s not theirs, they don’t always take care of things the best. The man renting this particular home was living alone, so I figured he would probably try shoving all kinds of stuff in the unit. I wanted it to be able to withstand his use, so I wasn’t replacing it again. Important with all garbage disposals is the sound that comes out of it. An extremely loud unit can be disturbing every time you turn it on. The Kenmore 70351 Garbage Disposer has a Quiet Pak insulation feature, so it promised to be what I was looking for. When it came in, I headed to the house and put it in fairly quickly. I was pleased to discover that it was just as quiet as I was hoping for. That same tenant is still living in the home over there, and we haven’t had any issues with the device thus far. 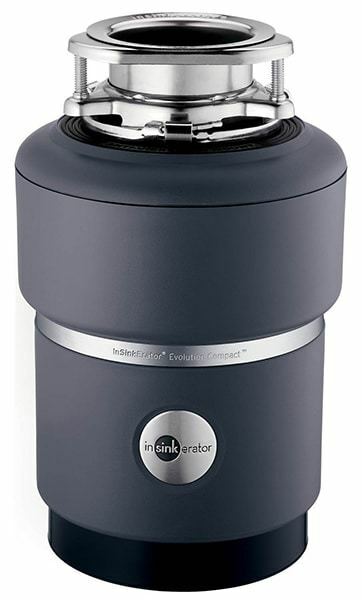 When I was searching various garbage disposals, I came across this InSinkErator model and took a good look at it. It was quite a bit more expensive than the Kenmore 70351 Garbage Disposer, so I wanted to see what it was offering. I noticed that the company provided a six-year warranty; one more year than Kenmore. They also stated it had a two-stage grinding technology. Other than that, the rest of the features were pretty similar. There were complaints about the unit quitting after just a few months of use and it being loud. 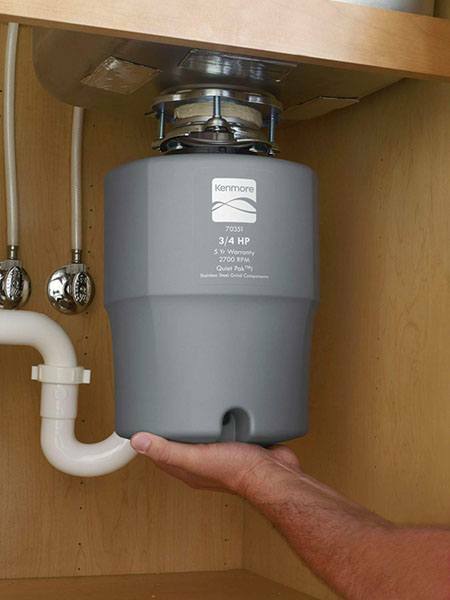 I didn’t want to risk that happening to me, so that’s why I went back with the Kenmore 70351 Garbage Disposer. I was confident that it was going to get the job done at a lower cost. Being someone with several homes, I wasn’t quite sure what I was getting into in the beginning. When my tenant complained that his garbage disposal went out, that wasn’t something I had worried about up to that point. 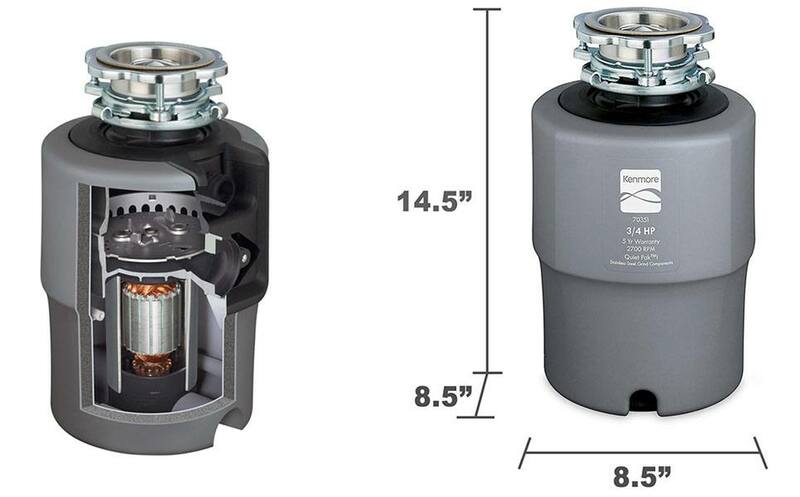 I am glad that I chose the Kenmore 70351 Garbage Disposer for my first replacement. It was super easy to install considering I had never done it before. When I turned it on it was quiet, and now, a few years later, when I do inspections, it’s still running just like the day it was put in. I even asked my renter if he used the disposal at all because it seems like brand new. He said that he uses all time and grinds up some pretty tough stuff in it. The only thing that I didn’t like about the unit is it is big compared to some of the compact models out there. It fits under the kitchen sink without a problem, but it takes up quite a bit of room. There’s not much space left to store cleaning supplies with it in there or any of the other stuff you would typically store in your cabinet. I am happy with it overall and have even purchased a few other for my other homes. Now that I have done it a couple of times, I can quickly pop one in when the existing units go down. I haven’t had any problems with any of them, and the first one was put in a while ago. Actually, I even put one in my own house and replaced an old Kenmore that was in there. I could tell right away that it was quieter and much faster. My wife likes it because when she is cooking or cleaning up a meal, she doesn’t have to fill up the garbage can with scraps that stink after a while. She knows that the Kenmore 70351 Garbage Disposer is going to withstand whatever gets put down there. I think it was only clogged up once and that was when my son threw a pebble from the fish tank in the sink and it got stuck. I wasn’t even home, and my wife easily took care of the problem. 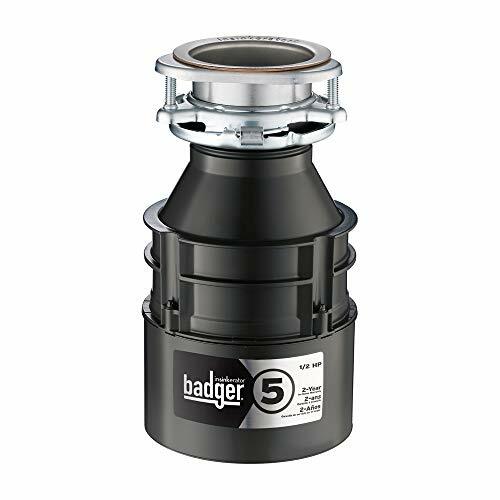 The bottom line is, if you’re looking for a new garbage disposal with ¾ horsepower, this is one that I would highly recommend.